It might come with cosmic powers, but the Infinity Gauntlet still makes Thanos look like he’s wearing an oversized, bedazzled oven mitt. 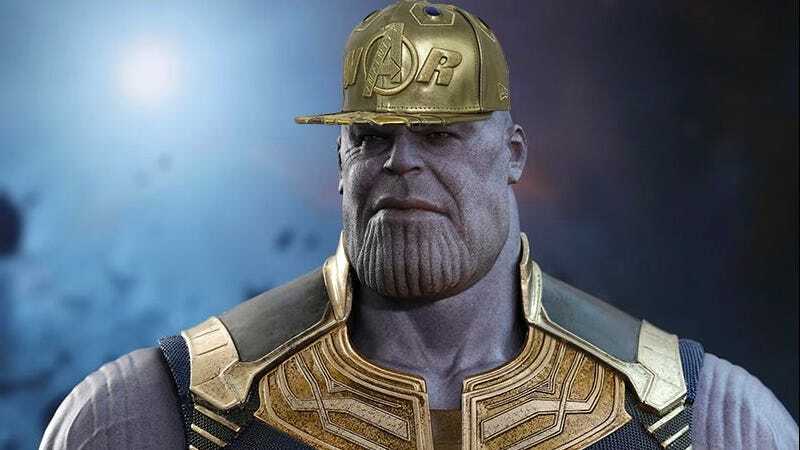 I’m not sure if New Era hats are available everywhere in the galaxy, but Thanos could really step up his intimidation game with this 59Fifty Infinity Gauntlet fitted cap. Made from the finest golden polyesters, the cap features an embroidered version of the Avengers: Infinity War movie logo, as well as six recreations of the infamous Infinity Stones. On the underside, there’s also a detailed lining that features illustrations of each stone, and the Marvel character who discovered or grappled with its power. At $100 you’re probably never going to want to wear this hat anytime there’s even the slightest chance of rain outside... or when battling the Avengers, who might accidentally tear off that coveted 59Fifty sticker under the visor.